FC Barcelona and Hebei China Fortune FC have reached an agreement for the transfer of Javier Mascherano, who will join the Chinese club from 26 January. Javier Mascherano was presented officially as a Barça player on 30 August 2010. After seven and a half seasons in a Barça shirt, the Argentine leaves with 18 trophies amongst his personal list of honours having lived through one of the most glorious periods in FC Barcelona’s history. 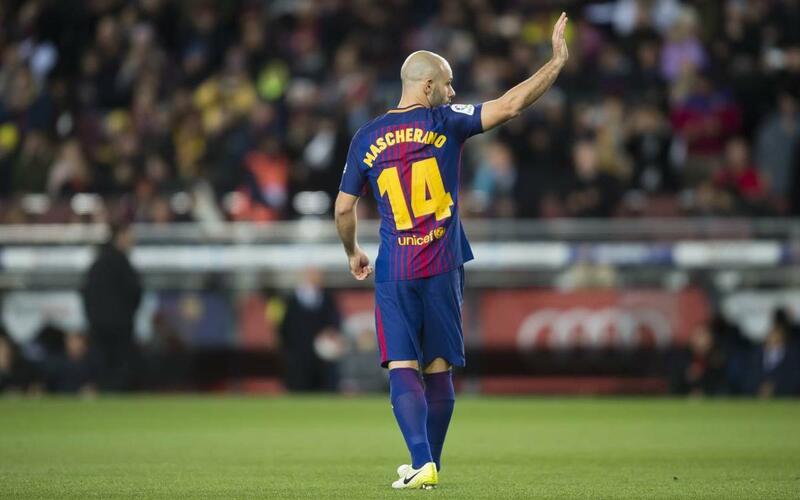 Mascherano has played 334 games for Barça under five different coaches; Pep Guardiola, Tito Vilanova, Tata Martino, Luis Enrique and Ernesto Valverde. Those five coaches have seen Mascherano at his best since his debut against Hércules in a league match at Camp Nou on 11 September 2010. The Argentine arrived as a renowned central midfielder but his technical ability allowed him to become a vital part of the central defence, playing in that position in the Champions League final victory in 2011 at Wembley. Since that moment, Mascherano has featured principally in defence yet still with ability to play in the centre of midfield when necessary. ‘El Jefecito’ scored just one goal for Barça, a penalty in the game against Osasuna in the league at Camp Nou in the 2016/17 season. The Argentine is fourth on the list of all time appearances by foreign players at FC Barcelona, only behind Leo Messi, Philip Cocu and Dani Alves.